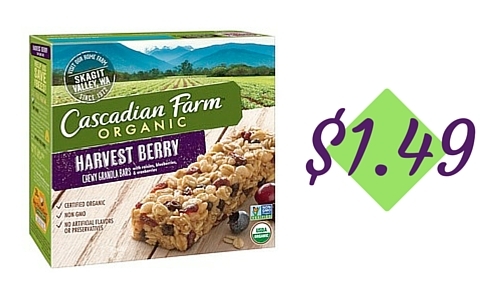 Stack this new Cascadian Farm coupon with a SavingStar offer to get a box of granola bars for $1.49 at Kroger. I love quick and easy breakfast options! like getting it for $1.49 ea.